Sell Your House FAST & Get The Most CASH. Get a cash offer in under 24 hours for FULL MARKET VALUE without doing a single repair! We will buy your house NOW in ANY condition and will pay more than any other Denver investor, GUARANTEED. YOU pick the closing date, WE deposit your cash! Regardless of your situation we will work with you to make selling your house simple and easy, without a single dime in fees. We Buy Houses Anywhere In Denver And Along the Front Range, And At Any Price. Check Out How Our Process Works. Sell your house fast and for the highest price. Stop the frustration of selling your home in the Denver area. Let us buy your house now, regardless of condition. Instantly “be done” with that property. Sell your house the easiest and fastest way, for more cash than the other investors are willing to pay. We have in house carpenters, and a brokerage, allowing us to get you the most money. We pay cash so we can close fast. Basically, if you have a property and need to sell it without the traditional selling headache and timeframe… we’d like to make you a fair cash offer and close on it when you’re ready to sell. Want to sell your house and make the most profit, even more than it’s currently worth? You can work with us to turn your home into a business investment. We can invest our money into your house, making your home worth more to potential buyers. We’ll even list and sell your home on the multiple listing service after we fix it up, and you get to keep all the extra profit from the added equity. Have you ever thought, “I want to flip my house for cash.” or “I need to sell my house for more money.”? Now you can! Just fill out the form or call to request an offer from us and we will lay out all your options. Contact us today at (720) 370-9595 or fill out the form above to get the process started. Don’t delay! Do You Need To Sell Your Home Near Denver? 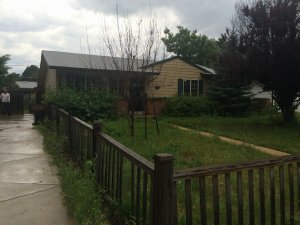 We will buy your Denver area house, any condition. Denver Property Flip isn’t just a real estate investment company, we are also a licensed real estate brokerage, and a licensed class B building contractor, allowing us to take out the middle men and pay you more. On top of being real estate investors, we are a licensed contractor and real estate brokerage. With our own crews and no fees to pay to outside brokerages or contractors, we can pay you more. As cash buyers we can also offer creative solutions to help you get the most money for your house with your situation. We’ve cut all the middle men out of the “we buy houses” industry. Other “We buy houses” companies are often what is called a wholesaler. Wholesalers will try to get your house under contract with a low ball offer, then resell the house or contract to an investor. The investor will then hire a contractor who will build their profits into the fix up cost. After paying the wholesaler’s profit, and the contractor’s profit, most investors will even hire a real estate agent and pay another 6% in real estate commissions. All these costs drive the offer to you, the seller, way down. We help property owners just like you, in all kinds of situations. From divorce, foreclosure, death of a family member, burdensome rental property, and all kinds of other situations. We buy homes in Denver and surrounding areas and pay a fair cash price, fast. Sometimes, those who own property simply have lives that are too busy to take the time to do all of things that typically need to be done to prepare a house to sell on the market… if that describes you, just let us know about the property you’d like to be rid of and sell your house fast for cash.